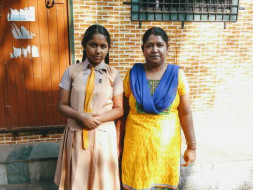 Since 12-year-old Epsita, daughter of Ramesh Khanra was a baby of just six months she has been suffering from a severe blood disorder called Thalassemia. Thalassemia is a disease of the blood where there is increased destruction of the blood cells. Since such a patient does not have an adequate number of blood cells, they suffer from anaemia, which makes them extremely weak, dizzy and lightheaded. It can also cause an enlarged spleen and a damaged liver. It even breaks down the immunity and causes jaundice. 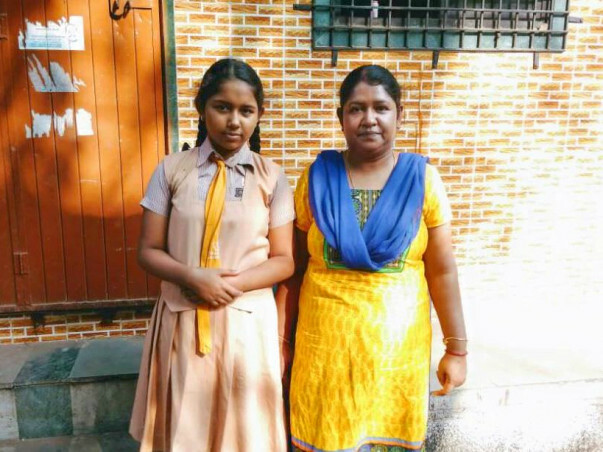 Epsita has now been advised to undergo a bone marrow transplant at the earliest as that is the only treatment that will help her. 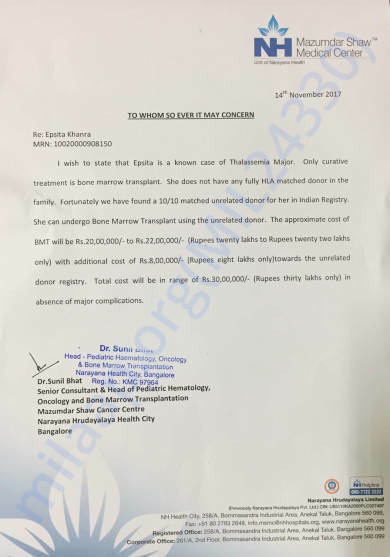 The total cost of the surgery and donor charges is approximately 30 lakh Rs.